Anyone who spends time in Copenhagen’s city centre will have inevitably encountered the hordes of camera-clad Chinese tourists recently. And according to new findings, your eyes are not playing tricks on you – there has in fact been a drastic increase in Chinese tourists in Denmark, with figures rising 127 percent since 2010. The statistics reveal Copenhagen to be their favourite Danish destination, with the number of overnight stays in the country’s capital increasing by 148 percent in the past four years. 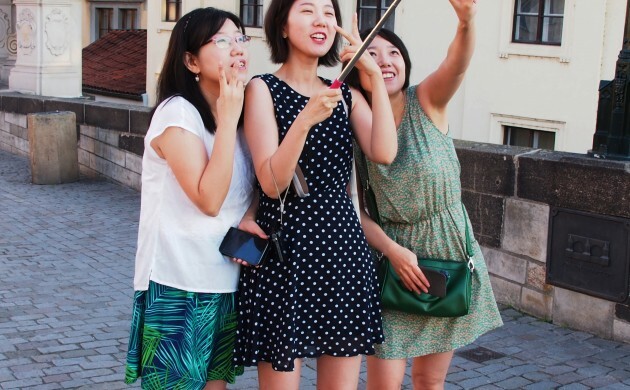 This is good news for the Danish tourism industry, with the average Chinese tourist spending 1,762 kroner per day – almost four times more than the average tourist. According to experts, the growth is due to a range of factors. “The growth is due to a number of underlying trends, as well as the increased physical accessibility between China and Denmark,” Sune K Jensen from Dansk Industri told finans.dk. “In early 2012, SAS opened a new route between Copenhagen and Shanghai, and Copenhagen is now becoming a cruise destination that many tourists are interested in,” she continued. When it comes to holiday splurging, the Chinese are ahead of the pack. “As the middle class grows, the Chinese have become richer. They have more money to travel and spend on tourism,” said Jensen. “The Chinese are normally here on a city break, and this is the type of holiday on which you typically spend more money. At the same time, Chinese people like to shop for high-end brands here in Europe, as they know the brands they buy here are genuine,” she continued. Nevertheless, the Chinese are not yet the leading tourist group in Denmark. In 2014, while they enjoyed just over 160,000 overnight stays in Denmark, German tourists managed more than 12.9 million.